As you may know, there’s no built-in way to record phone calls using your iPhone. As a result of country and state-specific laws, Apple doesn’t make it particularly easy to record a phone call. However, it’s not impossible. You can record iPhone phone calls using some workarounds. If you’re going to use any of these methods, make sure you notify the person on the other end of the call that they’re being recorded. Provided they know and consent, there’s little chance of landing yourself in hot water. This is probably the quickest, easiest, and “dirtiest” way of recording a phone call from your iPhone. You’ll need another device with a microphone that can record (like an iPad, computer, or portable recording device) to make it work. Check out our microphone recommendations if you don’t have anything else for this. Call your contact and tap on the Speaker icon. If you have Bluetooth headphones connected, you’ll need to select the iPhone speaker from the list. Notify the other party that you’ll be recording the conversation. On your external recorder, start recording. Place the phone close enough to the microphone so that when you speak, it picks up your voice clearly too. Save the recording when your phone call is finished. On an iOS device, you can record the call using Apple’s Voice Memos app. 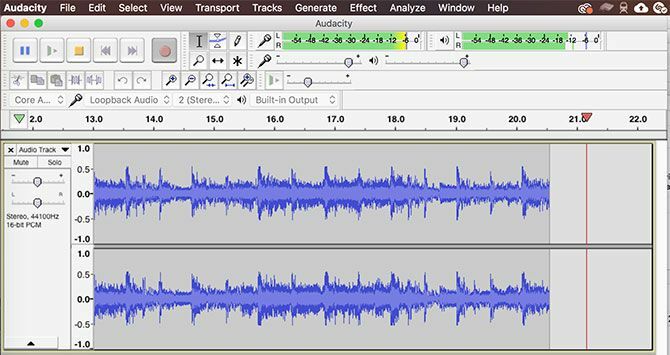 On a Mac or PC, we’d recommend free audio editing and recording workhorse Audacity.